Venue: NSCC Strait Campus and the Port Hawkesbury Civic Centre. (Cape Breton Island, Nova Scotia) – The Bras d’Or Lakes Collaborative Environmental Planning Initiative (CEPI) and the Strait Area campus of the NSCC with support from Engage Nova Scotia will host the 2018 CEPI Youth Conference: Changing Climates, Changing Economies on October 12, 2018 at the NSCC Strait Area campus in Port Hawkesbury. The CEPI Youth Conference will bring together youth (high school students and those 18-35) from across Unama’ki – to listen, discuss, and debate their shared stories and ideas that will inspire the future of Cape Breton Island. 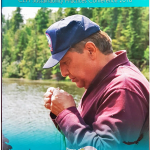 The conference will consist of discussions on leadership, sustainability, and entrepreneurship with a focus on the Bras d’Or Lakes and environment stewardship of Unama’ki. Participants of the conference will hear stories from those who have championed the environment all while building thriving enterprises, followed by workshops led by leaders across different sectors, backgrounds, and of all ages. Participants will also be encouraged to share their own stories, dreams, and aspirations as they relate to building a future in Unama’ki. 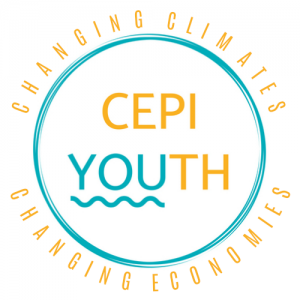 Youth can reserve their spot for the CEPI Youth Conference 2018: Changing Climates, Changing Economies on the conference’s website, www.cepiyouth.ca. CEPI is an incredibly unique initiative, engaging not only government partners from four levels of government, but also the broader community of the Bras d’Or Lakes watershed. CEPI works to address environmental management issues around the Bras d’Or Lakes through planning and putting in place actionable practices that allow industry sectors to grow without harming the environment. The CEPI Youth Conference Planning Committee involves organizations with a keen interest in engaging Cape Breton youth in the success of their island including Engage Nova Scotia, Bras d’Or CEPI, Common Good Solutions, Cape Breton Partnership, Creative Island, ACAP Cape Breton and the Strait Area campus of the Nova Scotia Community College.